If you thought the leak from two weeks ago had given the game away for Oppo’s new Reno smartphone series, don’t worry, as the real deal has more to offer. 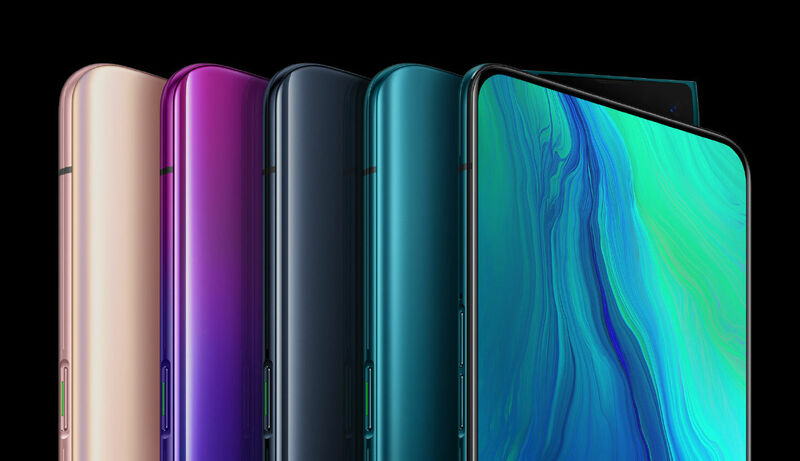 At the Shanghai launch event today, Oppo finally unveiled its first two Reno devices — the Reno Standard Edition and the Reno 10x Zoom Edition — while also teasing the Reno 5G which will be shown off in Zurich later today. Let’s start with the Reno 10x Zoom Edition. This is a flagship device powered by Qualcomm’s Snapdragon 855 chipset, and it features a 6.6-inch FHD+ AMOLED display with a generous 93.1-percent screen-to-body ratio. You’ll also find Oppo’s new VOOC 3.0 fast charging feature here which is apparently 23.8 percent faster than before, and it’ll go nicely with the large 4,065mAh battery. Other features include NFC, optical in-display fingerprint reader, Dolby Atmos AC-4 audio, Hi-Res Audio support and triple microphones. As the name implies, this phone packs a 13-megapixel f/3.0 periscopic zoom camera — something which Oppo teased back in February — along with an 8-megapixel f/2.2 super wide camera (120 degrees) and a 48-megapixel f/1.7 main camera (Sony IMX586 sensor). Together, these three rear cameras cover an equivalent focal length ranging from 16mm to 160mm, thus offering 10x hybrid zoom. As a bonus, both the 48-megapixel camera and the 13-megapixel periscopic camera have optical stabilization, and there’s also laser autofocus on this side of the phone. 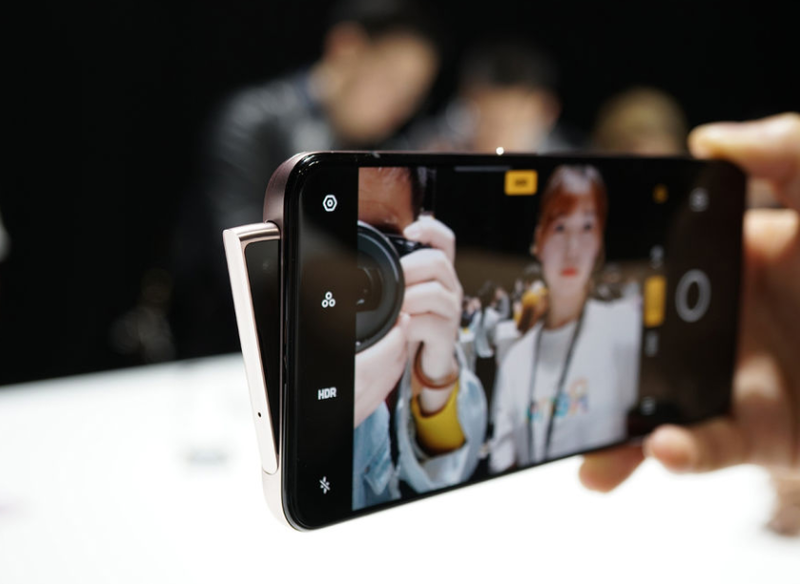 Thanks to the flagship chipset, the 10x Zoom Edition is capable of 4K 60fps video recording with hybrid stabilization, as well as 3D audio capture and audio zoom — something which HTC and LG have previous offered, respectively. There’s also a unique pop-up camera wedge at the top for 16-megapixel f/2.0 selfies with a soft flash light, and even the rear cameras rely on this wedge for its flash light on the back. This motorized part is said to last for over five years, assuming you’ll be flipping it up 100 times per day. Just to be safe, Oppo added fall detection here to automatically close and protect the camera. The more wallet-friendly Reno Standard Edition features the same pop-up camera as well as the same 48-megapixel main camera, but the latter lacks optical stabilization, for some reason. Gone are the super wide camera and periscopic camera, and these are replaced by a 5-megapixel depth camera to enable bokeh effects. Video recording is only up to 4K 30fps (which is still plenty for the average user) with just electronic stabilization, and there’s no fancy audio capture features here due to the lack of triple mics. The Standard Edition also has a smaller 6.4-inch FHD+ AMOLED screen, a lower-end Snapdragon 710 chipset, a smaller 3,765mAh battery and no microSD expansion. That said, this model does make up with two extra color options — pink and gradient purple in addition to black and blue. It’s also understandably lighter and thinner — 185 grams and 9mm instead of 210 grams and 9.3mm, respectively. Last but not least, there’s the Reno 5G, though all Oppo mentioned was that it’s due to appear at a Zurich event later today, and that the company will also be inviting select users to try it out in China in the near future. Based on the official product image, the Reno 5G is likely based on the Reno 10x Zoom Edition, and there’s no doubt that it’ll be relying on Qualcomm’s Snapdragon X50 modem for 5G connectivity. The only remaining questions are whether this variant will come with an even bigger battery to cater to the more demanding 5G radio, and how much it’ll cost. 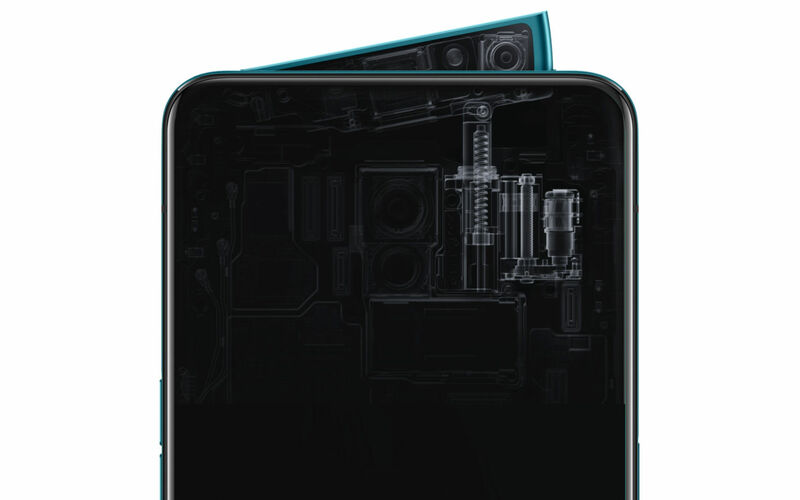 Speaking of, the Reno Standard Edition will start from 2,999 yuan (about $450) with the 6GB RAM plus 128GB storage flavor, and maxing out at 3,599 yuan (about $540) with the 8GB RAM plus 256GB storage version. This will be available in China starting from April 19th. Local folks who are after the Reno 10x Zoom Edition will have to wait until mid-May the latest, and it’ll cost between 3,999 yuan (about $600) and 4,799 yuan (about $710) for the same RAM and storage options — it’s UFS 2.1 for all models, by the way. And don’t worry, the Reno series will be making a world tour soon, as Oppo will be hosting a European launch event for these phones on April 24th. Obviously, we’ll be keeping an eye out for further announcements.